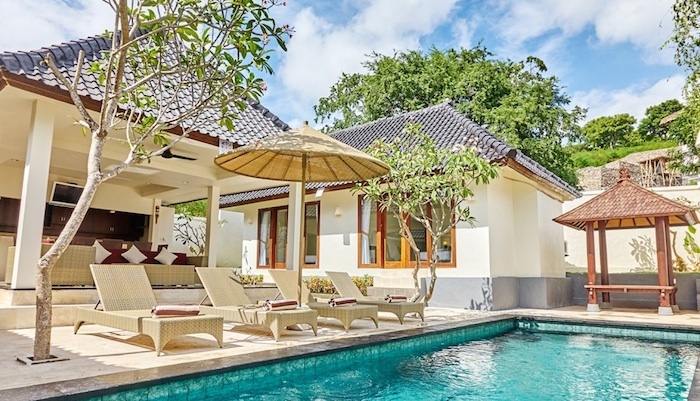 Kemiri Villa is a stunning 3 bedroom, 3 bathroom villa located in the heart of Jungut Batu village. 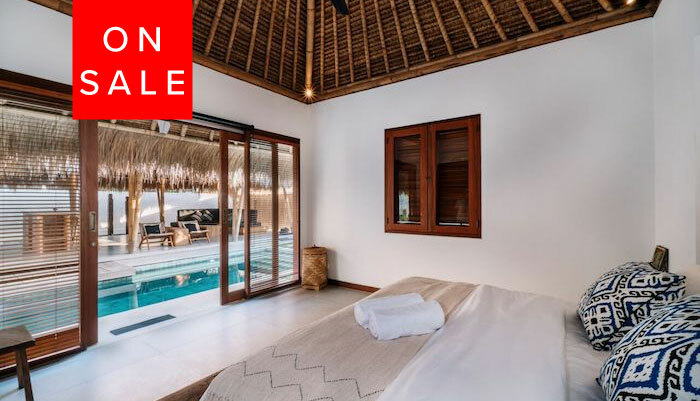 The villa oozes style with 3 master bedrooms ( one can be made as a twin) opening onto a central private pool. 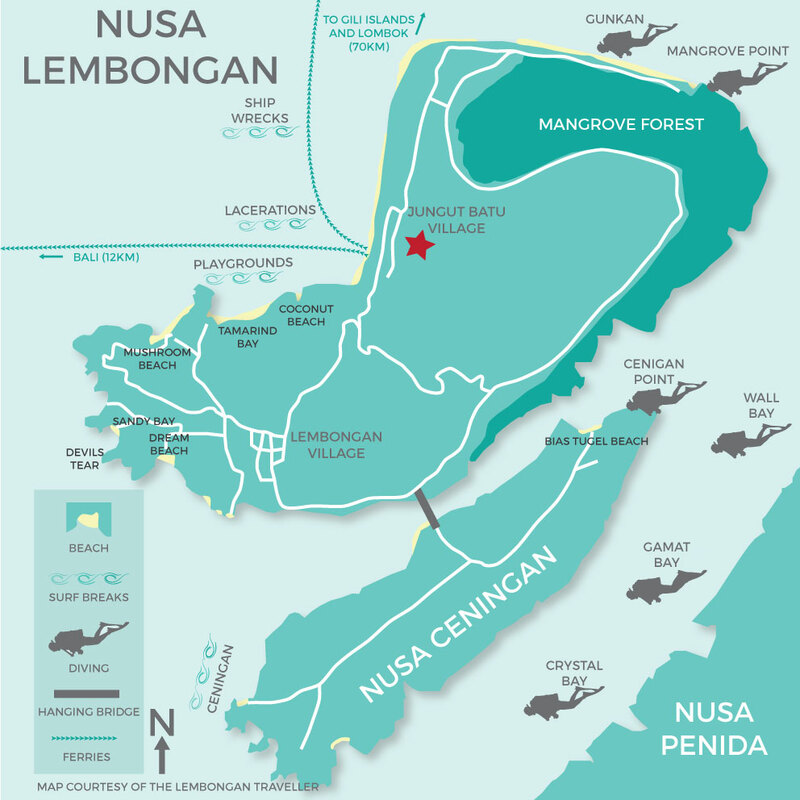 It is ideal for a family or 3 couples visiting Nusa Lembongan who enjoy the privacy of villa life. 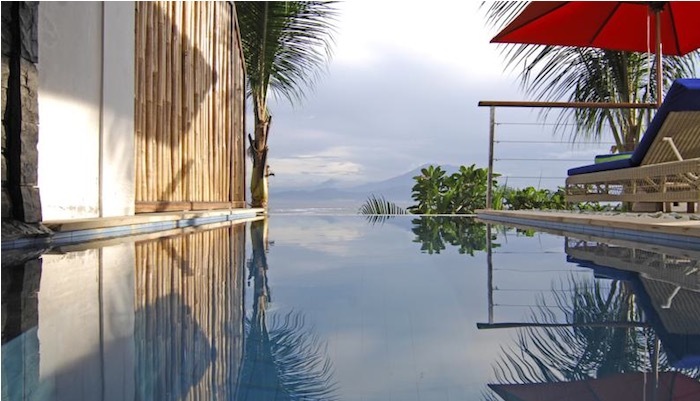 Kemiri Villa is less than a 10 minute walk to the beach and even closer to local restaurants located on the main road of Jungut Batu. The staff can assist you with all island activities; restaurant reservations, snorkelling trips, island tours, scooter hire and are also happy to share all their local knowledge. 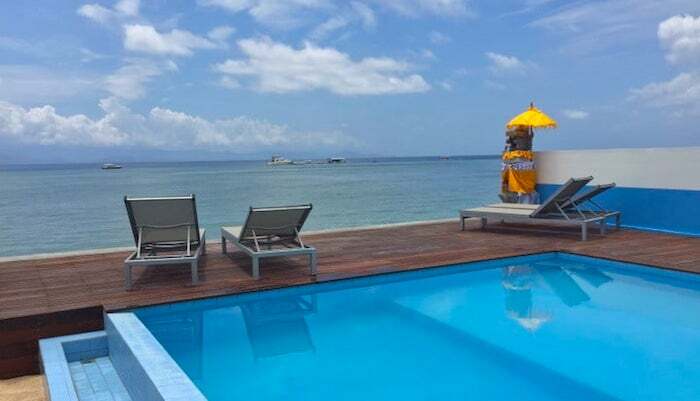 Staying at Kemiri Villa will allow you to discover the enviable laid back village vibe of Nusa Lembongan, its beautiful people and the incredibly picturesque sights that surround. 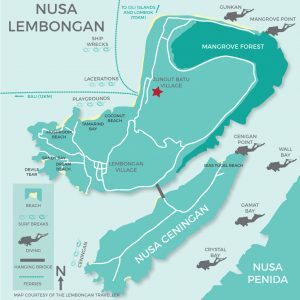 Nusa Lembongan offers ocean lovers the option to experience a range of water activities including: surfing, snorkelling, diving & SUP boarding. A holiday at Kemiri Villa will leave you rested and recharged.